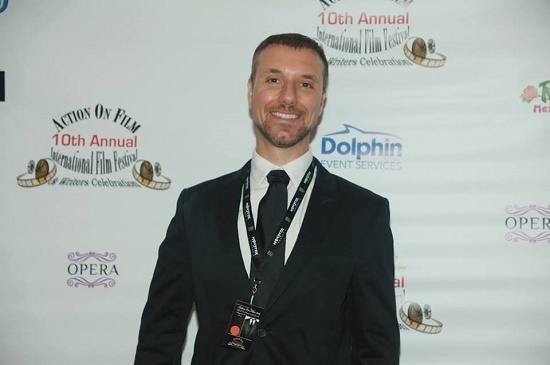 Casaccio and to his credit has gone out of his way to shine the spotlight on one man's journey to deal with the emotional fallout following his painful relationship with a man with narcissistic personality disorder. 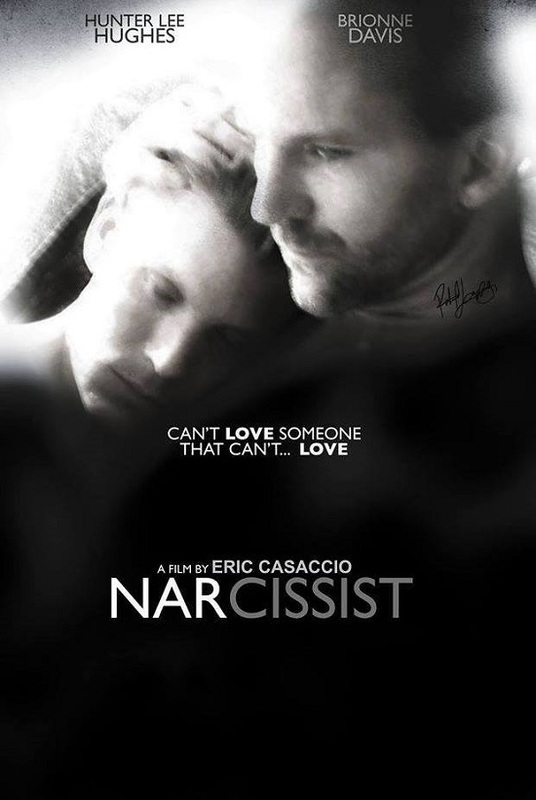 Narcissist is the story of a kind soul (Evan) who attracts a dark knight (Rob) into his life. It's almost as it's meant to be until Rob goes from a charming man to a manipulative individual who suddenly pulls the carpet out from under Evan, smashing his heart into a million pieces. Evan's post-traumatic stress disorder (PTSD) ends up taking him to a place of truth while Rob spirals into his own midlife crisis. Listen to this episode of Nicholas Snow Live on the BlogTalkRadio Network. It's amazing to sit here months after filming Narcissist and write a director's statement... a statement one hopes to inspire others that have suffered the post-traumatic stress from this kind of relationship or connection. Prior to a personal situation, a narcissist was always thought of as an individual that talks only about him or herself, stares into the mirror way too much, and goes to the gym constantly. True, these are all narcissistic traits, however, just the tip of the psychological iceberg of what a narcissistic personality disordered person really is. The root of this story began after a short-lived romantic connection between two men painfully ended. Upon meeting, one was unknowingly in a vulnerable place, while the other was recently out of an18-year long-term relationship, a relationship where he was dishonest, psychologically abusive, and unfaithful. The vulnerable one saw all the red flags but over the course of a few months was blinded by an immense charm... a charm he eventually gave into, and ended up being extremely hurt. Imagine having someone come on so strong, demonstrate everything one could ever want in a partner by making them feel so special... special until the dishonest one knows he's got complete control. Once that is established, the self-projecting, manipulative, over-a-month mind games began leading to a painful discard; a discard where the vulnerable one felt like everything was their own fault, when he was only wrong about one huge thing: he allowed it to happen because he was too nice, empathetic, forgiving, and open-minded. After it all ended, the vulnerable one felt like a vampire sucked the life out of him. He couldn't comprehend the pain over something so short lived, until a very wise and dear friend said to research Narcissistic Personality Disorder and sociopaths. At first, that seemed a bit harsh and ridiculous -- ridiculous until the vulnerable one spent weeks studying the symptoms of a narcissistic sociopath and was flabbergasted by some key terminologies that best describe them: charming, lack of empathy, manipulative, cunning, pathological lying, secretive, paranoid, self-projecting, need to be adored/worshiped, controlling, always needs to be right, does not perceive there is anything wrong with them, no conscience, scapegoat, incapable of accepting responsibility for anything they do, and lack of remorse, shame or guilt. And then a light went on in the vulnerable one's mind -- a light that answered all the questions of what was dealt with all along and an enormous realization that a huge bullet was dodged! One could spend decades trying to figure out why a narcissistic disordered sociopath treated them a certain way. There is literally a plethora of information online about this kind of person and it's an epidemic that definitely needs to be taken more seriously. However, it's more important that the victim forgives him or herself and works on why they attracted and/or been attracted to this kind of person, heal, and live a happy life. True, every human being has narcissistic traits, but giving your heart to someone that can be characterized with Narcissistic Personality Disorder is nothing but a waste of time. This kind of individual serial dater will run from relationship to relationship until they have found someone to have complete control over; who will always look up to them, worship, and allow them to always be right. It's easier to just forgive them from within, have it all fade to black, and let the rest go. Narcissist is a slice-of-life look at a romantic situation that will hopefully inspire others who have gone through this kind of scenario. Self-love is beyond important, as long as one doesn't get lost in looking in the mirror and avoid the truth behind a false reflection. Live. Learn. Love. Grow. Peace! Nicholas Snow Live is produced and hosted by Nicholas Snow. Over 1.7 million downloads in just over 2-1/2 years. The show's motto: "Connecting the Circuitry of Humanity." Download Nicholas Snow Live podcasts for free from iTunes. Like the official Nicholas Snow Live Facebook page here.